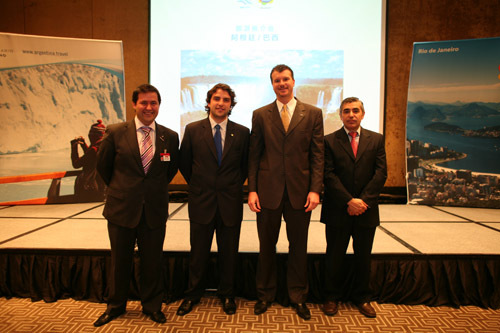 After the sucessful event last year, the second joint tourism workshop of Argentina and Brazil were successfully held in Beijing and Shanghai respectively on October 25th and 27th,. On October 25th and 27th, the second joint tourism promotion events of Argentina and Brazil were successfully held in Beijing and Shanghai respectively. 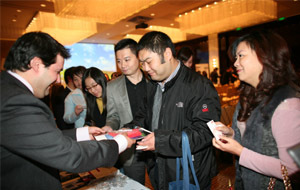 More than 250 Chinese interested tour operators and media attended these two events. 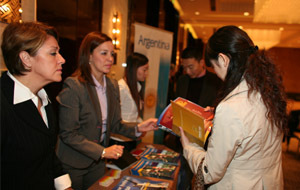 The rich and useful information of presentations encouraged Chinese tour operators' confidence to send more and more Chinese visitors to Argentina and Brazil. 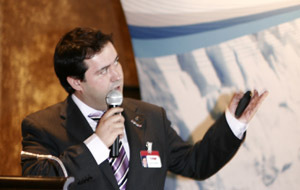 And onsite workshops enhanced the travel trade communication and build up good travel business cooperation. 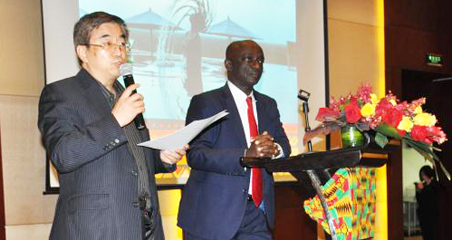 Again this year's promotional events got big support and assistance from China Business Network (CBN) and World Travel Online (WTO). At beginning of the event, Hon. Carlos Enrique Meyer, Argentinian Minister of Tourism gave a warm welcome speech, "With fascinating and charming natural beauty, historic heritage, all kinds of exciting activities, delicious cuisine and diversified international conference activities, we are definitely your next destination." 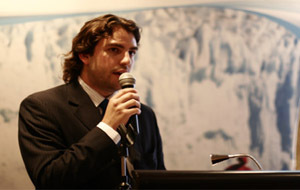 He also announce excitedly, "Inprotur launched its Chinese Official Website on World Travel Online to enhance its promotion in Chinese tourist market: http://www.lvyou168.cn/travel/argentina. " Flight information and local travel companies are especially brought to these events, including famous airlines TAM Air, Aerolineas Argentinas, leading incoming services Quimbaya Tours and so on. Mr. Laercio Branco from Embratur and Mr. Mariano Vila from Inprotur, gave the active presentations which provide a comprehensive knowledge of the local tourist resource and new products of Brazil and Argentina. "The 2014 World Cup and the 2016 Olympic Games will be held in Brazil, which are the best two opportunities for us to promote its economy, culture and tourism." 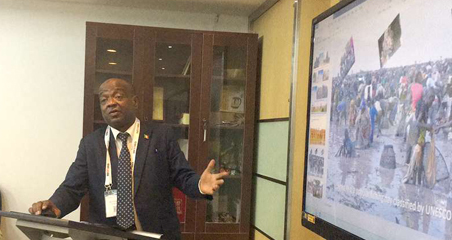 Embratur and Inprotur showed their goals and plans with their great confidence in Chinese tourist market. Both countries view the next 10 years as the best period for developing the local tourism. Mr. Carlos Ribeiro of TAM Air and Mr. Oscar Cilli, Regional Manager of Aerolineas Argentinas, delivered speeches and made emphasis on that they will enhance the cooperation with air companies of China. 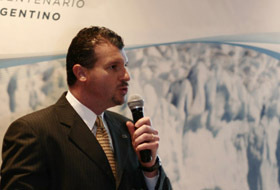 Mr. Carlos Ribeiro expressed "We have 8 lines from Europe to Brazil, and most Chinese people can select any of them to go to Brazil as CA has terminals in the 8 cities,” he added, “As more lines open to Brazil, more Chinese people will include this country to their travel plan, which will bring us a bright future." 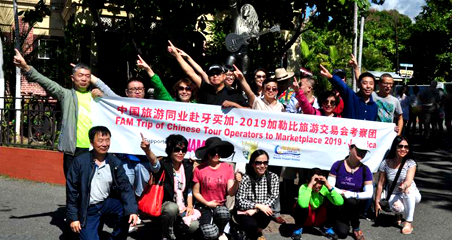 Ms Zhao Yaqing, Vice General Manager of China Woman Travel Service Head Office was very excited to meet up with the Brazil and Argentina travel trade, "No doubt, Argentina and Brazil of South America will be a heat in the next 10 year. We must take the opportunity to catch more and more Chinese travel market for traveling to Argantina and Brazil." 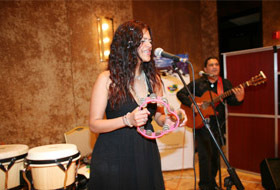 Wonderful performance of tango – the national dance of Argentina Artists, traditional songs of Brazil, and lucky draw during the cocktail, pushed the atmosphere to the climax.